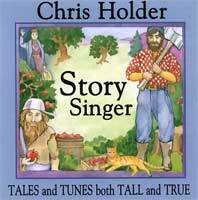 "It's reassuring to have Chris Holder carry the torch of storysinging - perfect listening!" For seven consecutive years the ASCAP Popular Awards Panel has honored Chris for his songwriting with students of all ages. or with the order form - it will come ASAP with thanks. CONTENTS: Imagination Cruise, The Wizard of the Highway, I Saw It (Halley's Comet), Carolyn Plummer, I Don't Want To Go To Bed, An Important Job, Erie Canal, E-R-I-E, Oh, That Low Bridge, Joe Shablotnick, To Albany. CONTENTS: Johnny Appleseed, The Sprightly Tailor, Paul Bunyan's Out Of The Woods, Nellie Bly, CATastrophe (The Cat Came Back), Round and Round, Would I Lie To You? (The Darby Ram Tales). 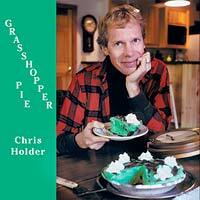 CONTENTS: Grasshopper Pie, Seemed Like the Waldorf, Travellin' Man, The Haying Song, The Activity Room, Crawdad, Now is the Time, Banjo Medley (waterfall,Arkansas Traveler, lament), Circus Man, Snowmobiling. To hear a brief selection click on a link above. 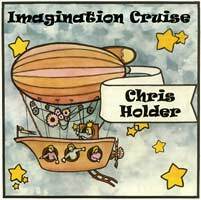 If you prefer to purchase recordings online, please go to www.cdbaby.com  and search in the Children's & Family Music section for Chris Holder.